Myanmar is a country of contrasts. The traveller’s eye sees glittering temples, women in brightly coloured headscarves, and fishermen rowing with one leg while standing on the other. But dig deeper and you’ll find that Myanmar is a country with a dark past and her people have endured the worst. While travelling through Myanmar we learned that the country and her people had a lot to teach us. Truth be told, we didn’t know much about Myanmar’s recent history before deciding to travel there. But upon reading Emma Larkin’s Finding George Orwell in Burma before our departure, we were suddenly aware that the Burmese people had been through hell. Many young people our age don’t realise that Myanmar underwent a horrific military dictatorship for almost fifty years, which only ended only a few years ago. During this time, the country was pretty much shut off and forgotten by the world. We hardly knew anything about Myanmar except that it was a place that nobody visited. Though since the end of the country’s dictatorship, Myanmar has opened up to the world and is the new ‘it’ country to visit in Southeast Asia. During our first few days in Myanmar, we fell in love with this chaotic but charming country and its people. Those glittering temples are awe-inspiring, and the men rowing with one leg are truly talented. The curries are lip-smackingly good and the teashops buzz with activity. We loved roaming the street markets on the lookout for oddly shaped vegetables and another vibrant scene to photograph. Shwedagon. The glittering temples were awe inspiring. 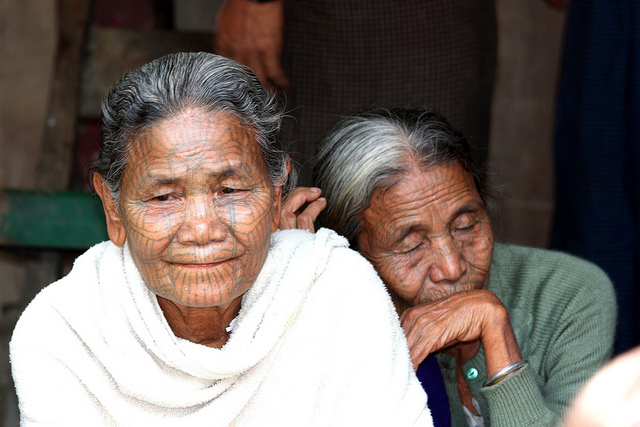 During our time there we had the opportunity to interact with a number of Burmese people. One, a guide called Soe Soe who took us on the back of his scooter around Mandalay for a day, chatted very openly about the military dictatorship and the hardship he had faced in his life. Yet Ilias, a guide we had on the trek from Kalaw to Inle Lake, was very reserved with what he said in regards to the country’s political situation. It was like he was scared that someone would overhear and report him to the authorities (which is what happened in the past). We then realised that Myanmar is a nation of wounded souls. Yet in spite of all this adversity, the Burmese are incredibly happy, generous, friendly, and gracious people. We saw this everywhere: families opening up their homes to us to sleep and to eat in while we were trekking, young monks shyly asking to practice their English with us, and children squealing with delight as they learned how to blow bubbles. How could they be so positive when they have been through so much? 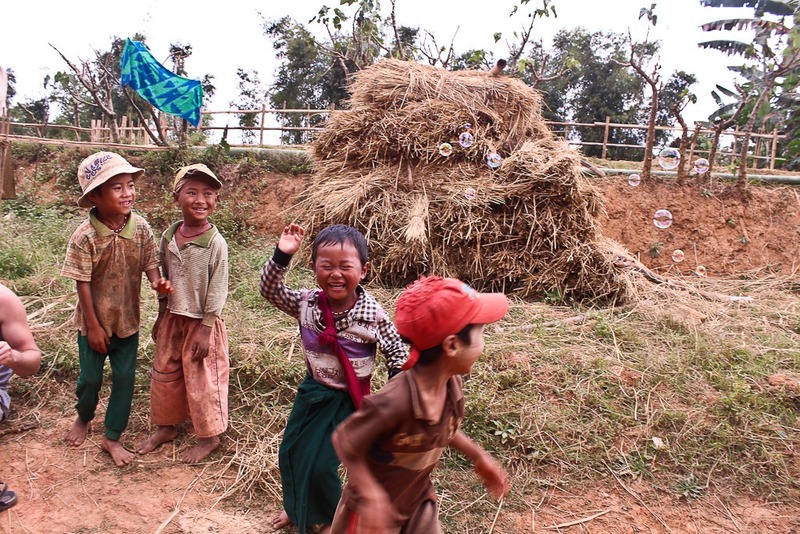 Myanmar children squealing with delight as they learned to blow bubbles. A huge component of Burmese life is religion. 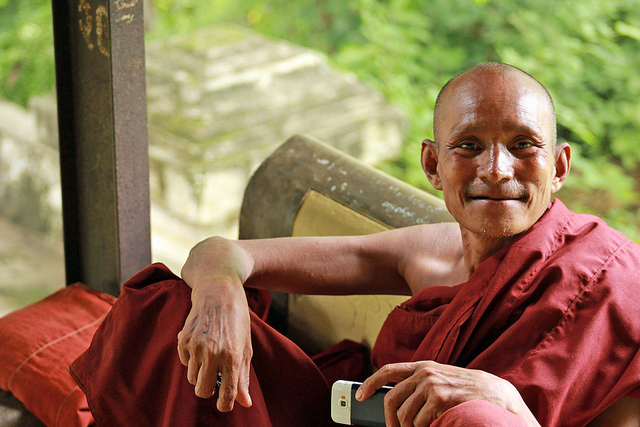 Some 90% of the population is Buddhist, and all Buddhist boys become novice monks at some point. This is part of the reason why Burmese people have such a friendly and generous demeanor. They aspire to reach enlightenment and to achieve this they adhere to their beliefs. Visiting a country like Myanmar had a hugely positive effect on us and made us think deeply about the way we conduct our lives. It made us realize how lucky we are to have been brought up in a politically stable country like New Zealand. 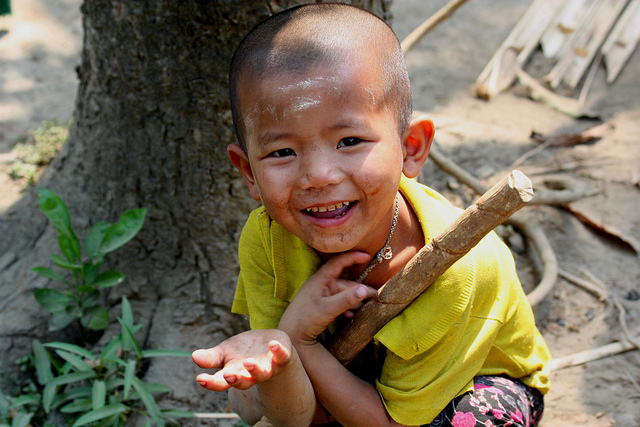 We’ve taken these lessons from Myanmar to heart and they have really made an impact on our lives. It wasn’t until visiting Myanmar that we really, truly realised that we are so lucky to come from a country where we never have and never will have to face these same political issues, and we will never have to watch our backs in case someone is listening. The positive outlook on life that the Burmese have has taught us to be unquestionably grateful for the lives that we have been given. We will never have to go through what they have endured. We aren’t religious, but we totally agree with what Soe Soe said. There is so much focus on money and success in our society that focusing on things like treating others well sometimes falls by the wayside. Since visiting Myanmar, we have become less caught up on how much money we make – we just want to live happy and fulfilled lives. Having the means to travel is a gift. It means we can leave our comfort zones, learn, and gain perspective on our own lives. Myanmar helped us to do that – and for that reason, we will definitely be back some day. 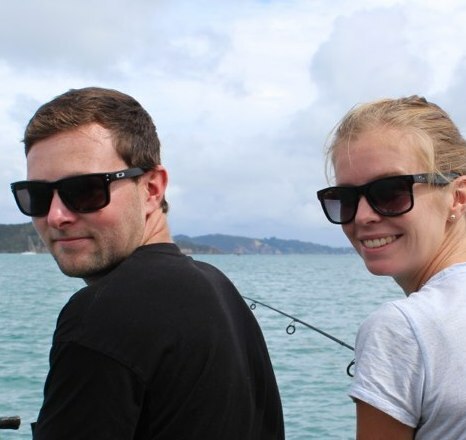 Petra and Shaun of The Global Couple are two mid-20s New Zealanders who are currently based in Vancouver, Canada. On their travels they aim to embrace and understand different cultures, customs, histories, foods, and landscapes. They love road trips, street food, and wandering with no destination in mind. Join them on Instagram! Thank for writing this post. Unfortunately Ive been able to make it to Myanmar on this trip but I met many people who have any they say very similar things. Some of the friendliest people they’d met in Asia. Its a great example of how travel does change you in very small ways. Thanks Nigel! Myanmar is a truly amazing and inspirational place. It’s not often one country changes you that much and makes you consider your place in the world. 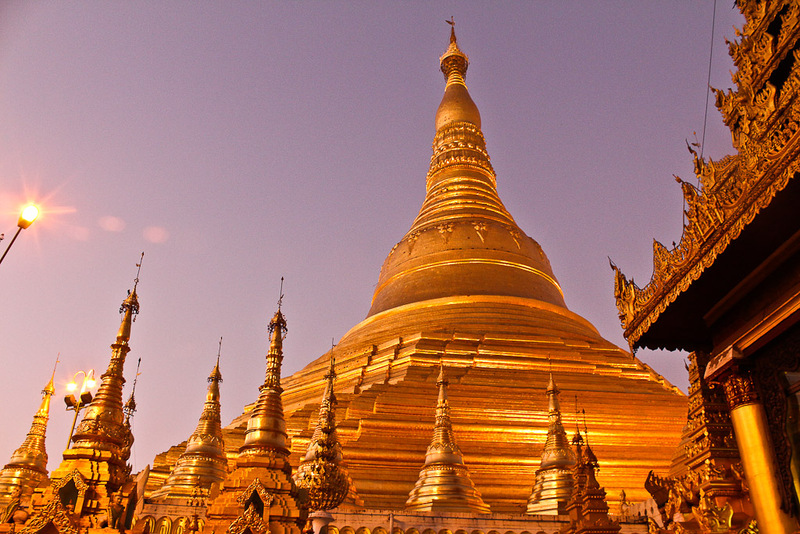 We would highly recommend a visit to Myanmar – sooner rather than later! Great article guys. Another epic Southeast Asian country with so much history. I’m visiting this year so am looking forward to learning more about it whilst discovering it’s it’s beauty. Shaun and Petra I mirror your experience in so many lands. Well said! Burma was under a brutal regime for decades. I stopped by a few times for visa runs but that was it; looking forward to a long term stay. Heck, here in Bali it wasn’t always paradise. Scores of people on the island were murdered during an equally brutal crackdown by Sudharto and so many folks are ignorant to this. I know I was. Digging deeper into histories helps many Westerners see how blessed we are, never having to endure such brutal hardships to survive. I also appreciate the spirit of these inspired folks. Absolutely agree with you Ryan that understanding and appreciating the history of a destination really makes you realize how blessed we are to have come from a country with less hardship. And it really affects your experience in that land too, having that appreciation for all it’s people have been through. Thanks Ryan, so glad you enjoyed the article. Beautiful piece – another testament to how travel is so good for looking at how you live your own life. Glad you enjoyed it Mary! And absolutely – the messages and life lessons we can take away from travel are truly life changing. We are hoping to make it to Myanmar in the next two months while we are still living in Asia. Looks and sounds like a magical place to visit. I loved my time in Myanmar (was there a couple of years ago) and agree with everything you’ve written here. The people had a really hard time for far too long – from the colonisers as well as the dictators. But the country is developing so quickly now and it’s great to see the freedoms that are emerging. Absolutely – I can’t wait to visit Myanmar, especially now after Petra and Shaun’s great guest post. So glad to hear such positive reports from everyone who has visited since the country started recovering – hopefully there will be only light at the end of the tunnel now that they have made it through.